Nasa is offering a very significant $18,000 to human lab rats who agree to stay in bed for 10 weeks during a test lasting a total of more than three months. Hmm, sound right up my alley! The ones selected by the space agency will spend 70 days being prodded and poked by scientists who would gauge how effective exercise would be for astronauts who lose muscle, cardiovascular and bone function while in zero-gravity conditions. 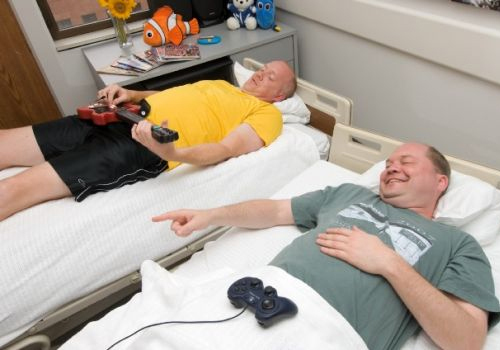 Test subjects – split into exercising and non-exercising groups – would first spend two to three weeks moving around and doing normal everyday things inside the “bed rest facility”. Then they would spend 10 weeks lying in a bed with their body tilted slightly backwards with their head down and feet up in the in the NASA Flight Analog Research Unit in Houston, Texas. Back and neck pain from constant lying down is often cited by test subjects. Also, the only way to relieve and clean oneself is by using a plastic bedpan and washing with a hand-held shower-head while still horizontal. Reading, studying, using computers and doing activities that do not involve much movement are permitted, however there is the risk of aching arms and chronic sleepiness from remaining in one position for so long. The next 14 days would entail “reconditioning activities” – squatting, cycling and walking while still lying down – and regular tests to see how regular exercises assist the body in adapting back to normal. Nasa is looking for healthy participants who will have to pass tough fitness tests, as they have to be of similar physical condition to an astronaut.